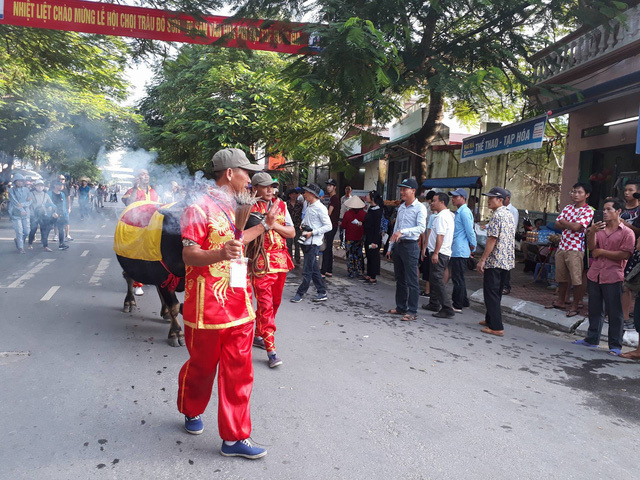 Being known as a country with its long history and rich cultural identity, the Vietnamese people from every part have their own Festivals celebrating all year round. Plan your Vietnam tours in the next year now! 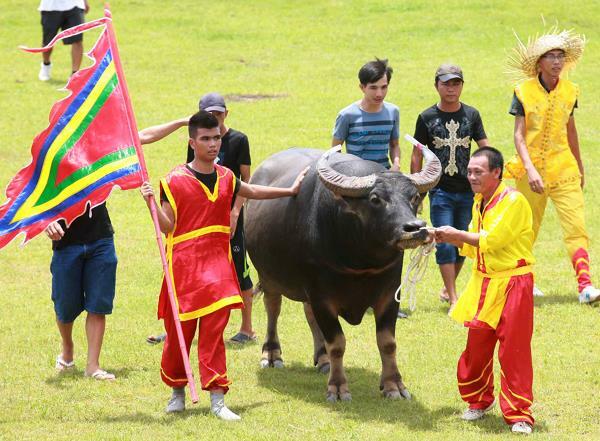 Buffalo Fighting Festival is among the most popular annual activities for many inhabitants in different regions in the country and in Do Son, Hai Phong city, this Festival is considered the most unique and large-scale one. The Do Son Buffalo Fighting Festival occurs according to the Lunar Calendar, from the 1st to the 15th of August, attracting thousands of domestic visitor coming to the city every year and it was said to bring health, happiness for the people. No one knows exactly when and how the Festival was formed since there are some stories about its history passed from one generation to others. However, the most told story was that a long time ago, a Sea Creature appeared, they killed people who were mostly fishermen and destroyed villages. Do Son people were too scared, then they thought of a way: killing buffalos and offering to God in order to pray for peace. After that, they were not threatened by the Giant Fish anymore and started offering buffalos to the God. When this offering ritual happened, suddenly, the buffalos fiercely fought each other which made the people thought that it was due to God who likes this. For that reason, Fighting Buffalo became an official Festival and Do Son people hold a strong belief that this activity not only protects them from the sea, bringing luck, prosperity, happiness but also demonstrates the strength and talent of the coastal people. 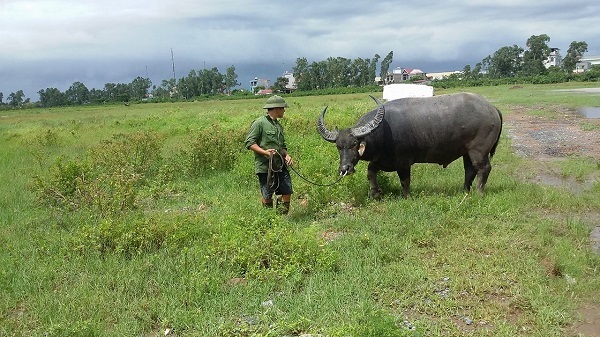 The chosen buffalo was raised in a special way and taken care more carefully than others. 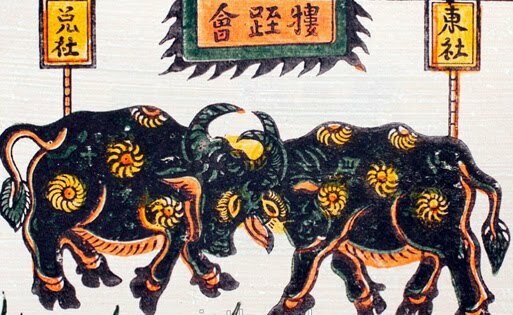 The Fighting Buffalo Festival takes place from the beginning of the eighth lunar month. At first, the villagers from each village join in a ritual worshipping Water Goddess where the sacred water is replaced once a year and kept in each village’s hall. Then, owners of the selected animals have to bring their “fighters” to the Village Hall to perform a rite contributing to the Tutelary God. These fighters will be called “Sir Buffalos” after that, presenting believes and dreams of the local people. On the main day of Fighting Buffalo Festival, people of all ages flock to the festival venue, thus they mostly halt their daily work just to join in this big, joyful activity. At the opening, there are 24 men standing in two rows performing a lissomly flag dance in colorful costumes and loud and lively music created by traditional instruments. It is said that an animated atmosphere seems to make Sir Buffalos fight more fiercely. At exactly 8 o’clock, there comes a loudspeaker, the first signal that gathers Sir Buffalos into the fighting ring. They are then led from both sides to stand under the Ngu Phung flag tower. Sir buffalos are brought the closer in a 20-meter-distance when the second signal is made. And in the last signal, Sir Buffalos are released from the rope to start the battle. Which village has the winning buffalo is said to meet plenty of luck in that year. Eventually, despite not winning the battle, all buffalos are killed to make the sacrifice. Nowadays, there are controversial opinions on the existence of the Festival. Some protesters assume that Fighting Buffalo Festival promotes an image of violence along with inhumanity in such a modern society and strongly recommend to eliminate it. On the other hand, the advocate, which counts a number of social researchers, still see the integral role of this Festival in the mental life of Do son people since it has been practiced and become familiar with every family in the area. Without it, the unique tradition could not be maintained and furthermore, the closely social bond among Do Son people would likely break down.